Impact Loan is building prosperity in our region by giving individuals new reasons to build their businesses in southwestern Ontario. Impact Loan has supported many individuals in the life-changing path of entrepreneurship. With the right funding and business supports, our entrepreneurs have been able to flourish, fueled by their own skills and passion. Whether you are dealing with a pesky problem on your home computer, or need your business and your technology working together, call Carrie. Don’t adapt to your technology, make it adapt to your needs. Making your systems work for you and your business! Second Floor Painting focuses on providing top-quality interior and exterior residential painting services. Owner, Mike Ghafari, is committed to providing these services in the most timely manner and ongoing quality control to provide 100% customer satisfaction. Our understanding of business innovation, niche markets, social media trends and steadfast competition goes unmatched. In this vast business pool we continue to deliver out of the box creativity, innovative strategies and a much needed personal connection, while we hold your vision in our hands, showing you the endless possibilities. 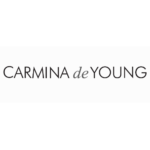 Carmina de Young is a dressmaker and fashion designer. Carmina de Young collections are the balance between modern culture and bold, contemporary style. Each piece is designed to empower women to feel stylish and comfortable while having a taste of colour and flare which are predominant in every aspect of Carmina’s Mexican heritage..